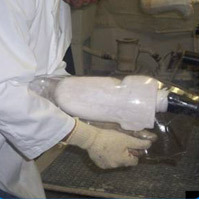 Why LTI for your prosthetics and orthotics? LTI is a fully accredited and certified orthotic and prosthetic provider. LTI is an independent, family owned company, offering personal service utilizing the highest quality equipment available. We offer more than 50 years of experience from our certified orthotists and prosthetists. Our state of the art manufacturing and patient care facility boasts the latest technological advances, a full gait lab, on-site customization, and meets the stringent credential requirements of the American Board of Certification for Orthotics and Prosthetics (ABC) as well as the Board of Certification for Orthotics and Prosthetics (BOC). We are a proud and active member of the American Orthotic and Prosthetic Association (AOPA), the American Orthotic and Prosthetic Association of Pennsylvania, the New Jersey Chapter of the American Academy of Orthotists and Prosthetists (NJ AAOP), the Pennsylvania Orthotics Prosthetics Society (POPS), and the Amputee Coalition of America. Appointments are available Monday through Friday 8:30 am – 5:00 pm. Our practitioners treat patients at all of the major medical centers in the Delaware Valley, such as St. Mary’s in Langhorne, Abington Memorial, Aria Health (Bucks, Frankford, and Torresdale locations), Hahnemann University, Magee Rehabilitation, Moss Rehab, St. Christopher’s Children’s, Temple University, University of Pennsylvania, and others. In-home prosthetic consultations are available.